Perfect for a desk or next to the bed. 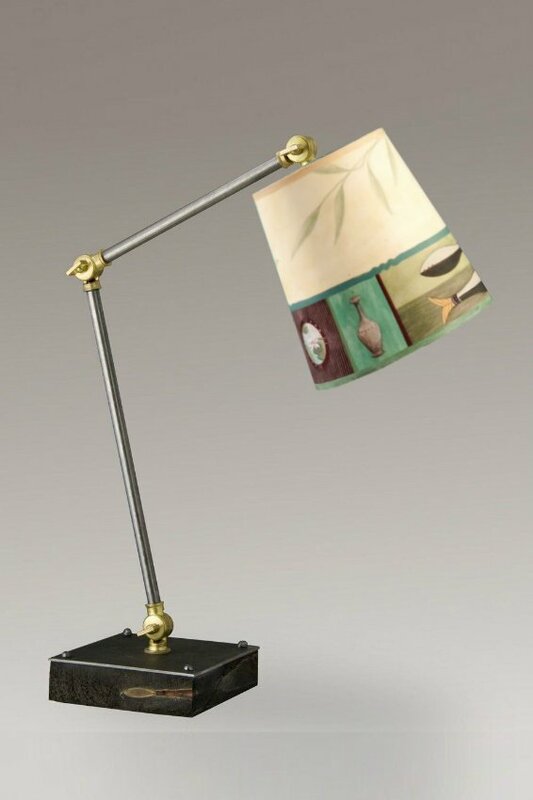 Ugone & Thomas Task Table Lamps are meticulously handcrafted in our studios. This shade features an archival giclée print of the Ugone & Thomas Twin Fish in Celery pattern. Each decorative lampshade features a pewter hallmark and is signed and dated by the artist. Ratcheting and lockable natural solid brass swivels, natural finish steel stem, custom mined Italian marble base in green. Adjustable height locks in three locations, to help place task lighting right where you need it.